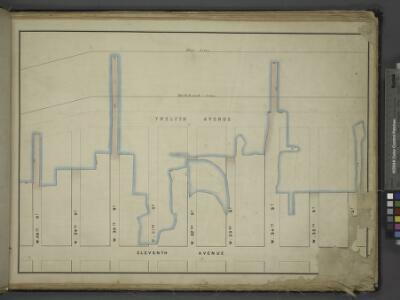 Description: from Maps of the wharves & piers from the Battery to 61st street on the Hudson river and from the Battery to 41st street on the East river, New York. Surveyed by I.C. Buckhout, city surveyor.